Disney animator, storyman, and director Jack Hannah's career with Walt (both Disney and Lantz) spanned decades, beginning with his first job at the Disney studio in 1933, as a clean-up artist. His stories are as memorable as the character he helped define, Donald Duck. 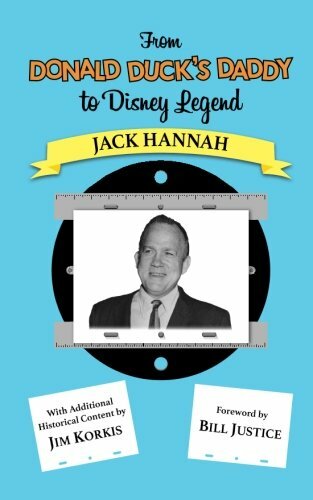 When Jack Hannah was hired by Disney, the Depression was in full swing. He was lucky to find the job. Walt put him to work as an animator, then as a storyman. But it was Hannah's years as a "Duck man", with Donald Duck cartoonist Carl Barks, that put him on the map. In all, he directed 65 Donald Duck shorts, and in his later years, directed Walt Disney himself for the live-action segments of Walt's Disneyland TV show. Hannah's stories are simply told, often with a punch matching his brief stint as a Golden Gloves boxer, and focus on the artists, animators, storymen, and other creatives he encountered at the Disney studio, and later at the Walter Lantz Studio, where he created new characters as well as directing some of Lantz's originals, like Woody Woodpecker. As a coda to his career, Hannah shares remembrances of the two most important "characters" in his life: Donald Duck and Walt Disney. Plus, an exclusive, exhaustive filmography of Hannah's many shorts.